We'll check out the videos above together as a group. How would you describe marketing in your own words? Talk with someone and be ready to share. Let's look at how your book (linked above) defines marketing. We will need two volunteers to demonstrate the exchange process described in your book. We'll also use your book to look at all the ways marketing is part of the value exchange process. 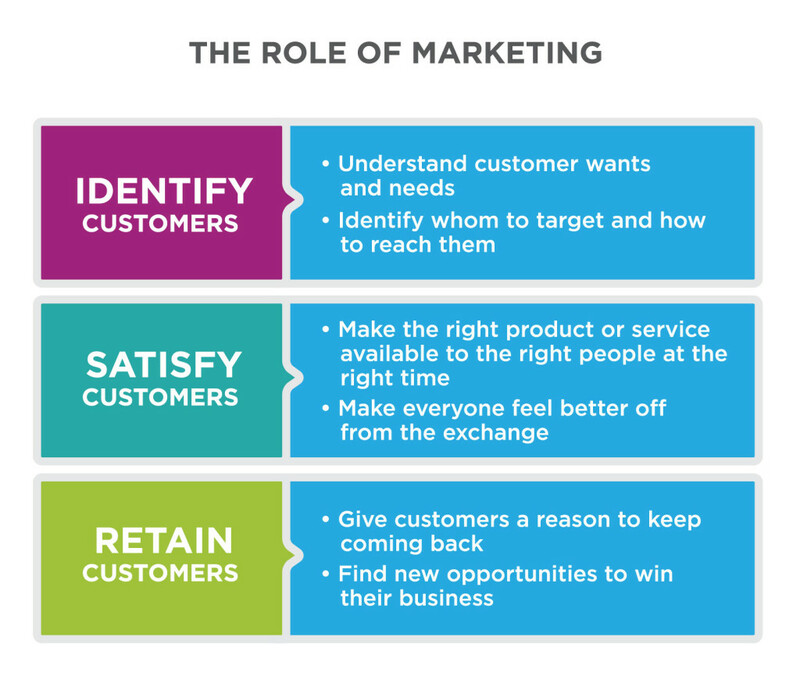 Marketing can be summarized into the key elements shown in the image to the left (taken from your book). Check out the infographic on this page about Customer Acquisition Vs. Retention Costs. What three pieces of data do you find most interesting? Be ready to share. We will check out the first part of this video below about the marketing concept. Choose a product. Use this cool tool from Google to draw your product. Marketers need to convey value to customers. What is the value or benefits you gain from your product? Talk with someone and be ready to share. Companies compete. Marketing helps customers choose one product over the competition. Who is a competitor of your product? Draw something to symbolize this competitor (eg. logo?). Talk with someone and be ready to share. Think of a product that is a substitute for your product (not a replacement, eg. AirBnb vs hotel). Draw something to symbolize this substitute. Talk with someone and be ready to share. How does your product differentiate? How is it different or unique? Draw something to symbolize this differentiation. Talk with someone and be ready to share. What is your product's (company) competitive advantage? What is something they have or do better than other companies? What sets them apart from other companies? Draw something to symbolize this competitive advantage. Talk with someone and be ready to share. Add your drawing to this collaborative page. It's important that companies understand their customers' wants. We'll watch this video that shows how Coke misunderstood their customers. Word of mouth is a powerful marketing tool. We'll take a look at this article that shows how some companies have built relationships and successfully leveraged their community of customers. "If everyone is your customer, then no one is." Would I be able to sell this _________ product to everyone in the room? Why or why not? Team up with someone close by and think of a new product (one you haven't used before) to market. Open and share a Google Doc to write down some ideas as we go. What needs does your product fulfill? How is it different from the competition? Talk with your partner, jot down some ideas, and be ready to share. Let's say your market is teachers (eg. Class Dojo a.k.a. the monster picker). You wouldn't try to market to every teacher. We can break down a market through segmentation. We'll check out the videos below to learn about three ways to segment customers and look at your book (linked above) to learn about one more. How would you segment (breakdown using geographic, demographic, psychographic, or a combination) and ultimately target (choose) the best customers for your product? Talk with your partner, jot down some ideas, and be ready to share. If our business is using the marketing concept mentioned above, we want customer needs to drive business action. In order to do this, we need to use market research to gain insight into our target market or customers. We'll look at your book (linked above) for a definition of market research, how it can help us compete, and the OnStar example. One way a company might conduct market research is through surveys or questionnaires. Write a five-question survey that would help you gain insight into your target market from above. Talk with your partner, jot down some ideas, and be ready to share. We'll look at basic use of this word art tool together. Use this rubric to practice your marketing marksmanship. This project is not related to the activity we did in class. We will use a Google Chrome extension called Insert Learning to supercharge our book information (linked above). We need to install the extension, and the link to the customized book material is shared through Google Classroom. Think of a product you use for entertainment. Talk with someone and add the name of the product and features or benefits it provides. Are you an online shopper or in-store visitor? Which do you prefer? Talk with someone close by and add a response. What happens if we set the price too high? What happens if we set the price too low? If you want to be a professional in the video marketing business, take TV Productions with Mr. Dwyer. We will talk about a few key considerations for your commercial. First, we'll check out this video about camera orientation for video. Think about shooting in clips (at least 12 seconds long) and combining the clips together. Your team is in charge of marketing for an up and coming company. Find a product to market. It has to be a product, not a service. Create a visual (poster, infographic, presentation, etc.) that contains the marketing mix (product, price, place, promotion) and specific target market (demographic, geographic, psychographic) for your product. The visual needs to be informative, media-rich, and professional (10 pts marketing mix, 5 pts visual & quality). You may work in groups of five or less. As part of your product promotion, you need to create a commercial. The commercial needs to be at least 30 seconds and should include elements of your marketing mix. Hopefully, someone in your group has a device that can be used to record (if not I have point and shoot cameras that can be used). Add your video to this collaborative page (1st, 2nd, 4th) and send me both your visual and video on Schoology (10 pts). We will watch the commercials in class (timer permitting) and provide constructive feedback as a group. Did you include product, price, place, promotion, and specific target market info in your visual? 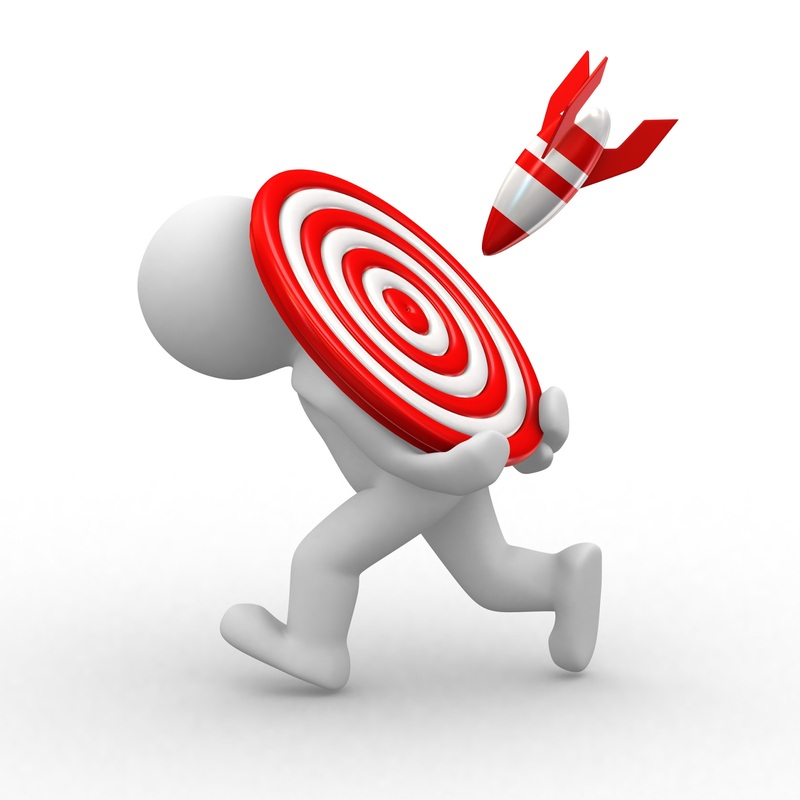 Are your 4 P's based on your specific target market? Does the commercial include elements of the marketing mix? Is the video creative, engaging, and high quality?